The kidnapping of the tarantula, he’s a queer, wild vampires, the sick lion and other challenges to a fictional detective turned real people. Readers of Conan Doyle began to send letters to the address Baker street, 221b, during the life of the writer. The first text of its kind in 1890, wrote the tobacco merchant from Philadelphia: he was interested in where to find a monograph by Holmes on 140 types of tobacco ash, mentioned in one of the stories. On the real Baker street, 221b house did not yet exist — at number 85 has begun the area of York place. Therefore, letters were delivered himself Doyle; Scotland Yard; Scottish physician Joseph bell, who was considered the prototype of Holmes; or in other houses on Baker street. When in the 1930s the street was extended, the houses under the odd numbers from 219 to 229 to, went to the Bank and Abbey Road. House 221b still existed, but the letters from admirers of the great detective began packs to come in the mailbox 221. 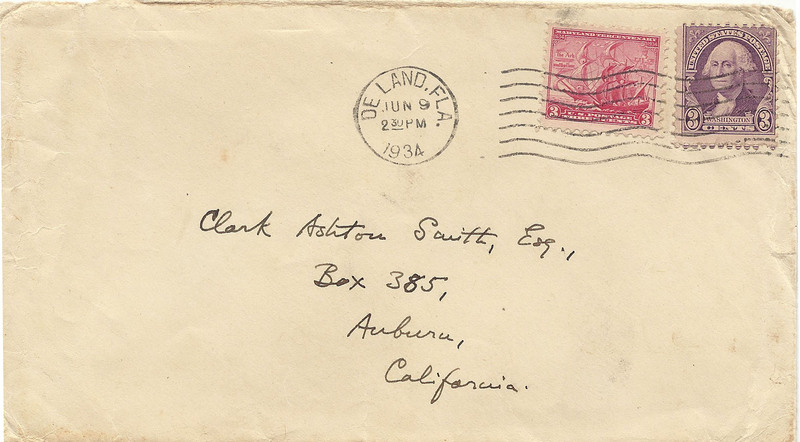 At the turn of 1940-50-ies of the Bank even approved the position of Secretary, which was to disassemble correspondence and respond to letters addressed to Holmes — written by students, police officers, scientists, lawyers and other readers. Many turned to Holmes not only to Express their admiration but for help and advice, believing that writing a real person, not fictional. In the responses, the Secretary reported that the detective is retired and raises bees in Sussex. In 1985, a scholar of Arthur Conan Doyle between cancel in Richard Greene has published a selection of the most interesting and unusual letters to Holmes. The exact date is unknown, but most likely, they were written from 1932 until 1985. Arzamas publishes translations of some of them. Dear Mr. Holmes! First of all, I want to say that my English is not very good, I make a lot of mistakes, but I hope You’ll understand. And now about my problem: I have already tried all the possible ways to get an autograph of Marc almond (he’s the lead singer of Soft Cell, the English group, and he is very very cute and I really like), but all in vain. I want You to help me, Mr. Holmes, a young girl who was in absolute despair and wants to autograph her ideal man. Could You get me an address where you can ask for your autograph? Unfortunately, I can’t afford to pay You for this service, but I hope You still agree to help. Dear Mr. Holmes, some time ago I started collecting pigs, drawn by famous people, and recently I suggested that You could agree to send your picture. If You don’t mind, I would ask You to close your eyes, draw a pig — and to open them, have to sign. Hope it’s not too presumptuous a request. I will be waiting for Your drawing to hang it on the wall among all the others: someday I will publish them. Dear Mr. Holmes, I was wondering, could You come to my school? Classes start next month. It is very easy to reach by boat, and for lunch, You could have in our dining room. You can stay in my room. I didn’t ask him mom, but because You’re a famous detective, I think she will be happy if You help her find a book with French recipes, which she has lost. I have an extra stick, so You could play cricket (a favorite occupation of the British). I also have a large color Sony TV, so You can watch the show “Sherlock Holmes Mystery Theatre”. If you want, take Dr. Watson. He could live in the room of my parents. Please let me know when Your boat arrives. I can’t find my crown. I think it was stolen last night. It is gold, so the loss is really serious. Please, Mr. Holmes, come and find my crown or tell me how to do it better. If You don’t mind, please answer in German or simple English. Dear Sherlock Holmes, I know you’re the best detective in the world. I lost my drumsticks. Could you come and help me find her? Thank you very much. Dear Mr. Holmes, I need Your help. I have a very weird dog. The day everything is fine with him: he has small eyes, tiny nose and a head like a tennis ball. But when evening comes, he’s not like a normal dog. He looks like a monster. My dog runs away from home and returned only in the morning. I hear him coming, and fear hides your head under the pillow. Mr. Holmes, could You help me figure out where it disappears at night? What do You think, is that a normal behavior for dogs? In my opinion, not very. I want You boarded the train and came to Kramfors. When you arrive at the station, ask how to find me.